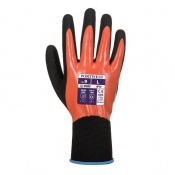 Specially dipped in a 3/4 nitrile and PU coat, the Portwest DermiFlex Ultra Nitrile Foam Gloves A352 provide exceptional grip, making them ideal for general handling applications. 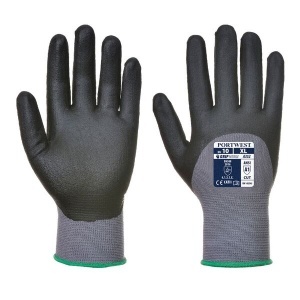 Their seamless and breathable liner ensures comfort, while the elasticity of the nylon and elastane construction guarantees the flexibility needed for precision and tactile handling. 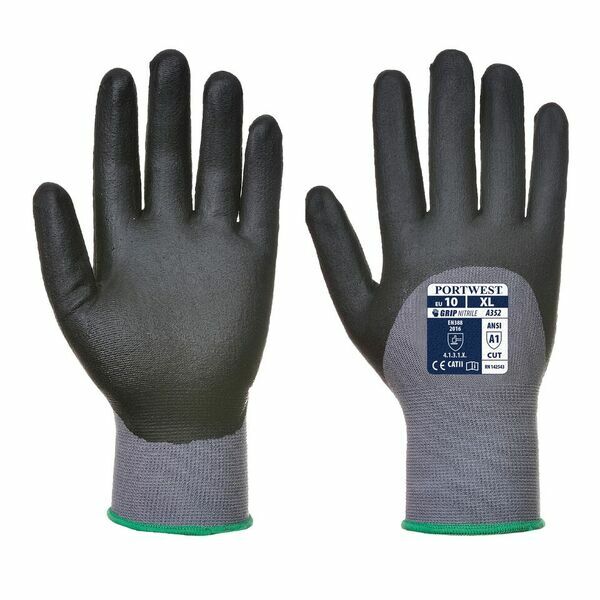 The Portwest DermiFlex Nitrile Foam Gloves use a nylon and elastane liner to provide exceptional flexibility, making them ideal for giving the user total control when handling materials. 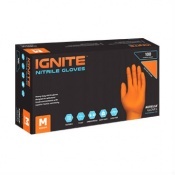 The gloves also provide comfort with a seamless, breathable knitted liner that is ideal for handling, guaranteeing excellent performance over extended periods of time. 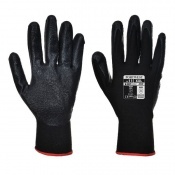 The Portwest Gloves are available in four sizes that should be suitable for most users. To find your perfect pair, please measure the circumference and length of your palm and match the results to the table below.